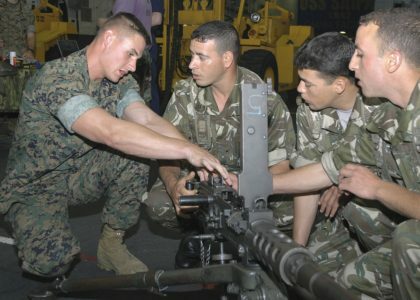 Has the US Deployed Soldiers in Algeria? The Washington Post and the New York Times revealed in recent stories that US troops are present in Algeria, a country that has for long rejected the presence of foreign troops while claiming a doctrine prohibiting the deployment of foreign troops on its territory. The New York Times, in what confirmed the US military presence in Algeria, reported Joe Courtney, a Democratic deputy from Connecticut, recalled that US troops in Algeria, Chad, Egypt and Kenya were already receiving this bonus. Joe Courtney made the remarks during a hearing of General Thomas D. Waldhauser, the commander who oversees military missions in Africa, on March 6 before the Armed Forces Committee. The hearing was about the decision to include Niger in the list of combat zones where troops receive extra pay. The Washington Post said that US troops deployed in Algeria, Burundi, Chad, Congo, Djibouti, Egypt, Eritrea, Ethiopia, Kenya, Libya, Somalia, Sudan, South Sudan, Tunisia and Uganda already qualified to receive the danger pay. The countries were added to the list as West Africa grapples with militants who have re-branded themselves as Islamic State-West Africa. Al-Qaeda in the Islamic Maghreb (AQIM) also has had a presence in nations including Mali, Niger, Nigeria and Mauritania, the article said. Relatedly, the Algerian news portal TSA affirmed, referring to a Pentagon document, that US soldiers on Algerian territory receive the extra pay “since March 7, 1995”. The revelations of the two US and Algerian media came to deflate the decades-long Algerian claims that no foreign military presence is tolerated in Algeria. The revelations also bring back to mind earlier reports stating that the United States has a secret base in Tassili, in southeastern Algeria, since the early 2000s. At the time, French satiric paper Le Canard Enchainé and various Algerian media had reported an American presence in Tamanrasset, where an US company (BRC, a subsidiary of Halliburton) had built a military base according to American standards. Officially, the base was said to be Algerian, but according to reports, the base was housing a sophisticated CIA antenna. Algerian authorities’ repeated denials are again debunked by the latest media revelations.